Trying not to draw lines. 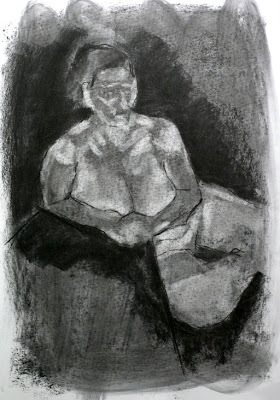 First, I covered a paper with a charcoal, and using eraser, I rubbed it out to search for highlights. I'd like to pursue this technique. 20 min. 60 x 80 cm.